The Wanatel Hosted PBX (also called Cloud PBX) is a complete business phone service utilizing the latest telephony technology: VoIP – Voice over Internet Protocol. We maintain the equipment, host the service and handle all the upgrades for you. Our VoIP Hosted PBX is not only a cloud PBX which basically permits you to make cheaper calls via the Internet and reduce your phone bill by up to 40%; it is a full-featured Unified Communications (UC) solution that improves your global business. The last thing you want to do is spend tens of thousands of Rands on a phone system. With Wanatel Hosted PBX, there are no large servers or systems to purchase that losses value over time. Get a new telephone system without huge upfront capital. Why you don't need servers anymore? With cloud-based VoIP, the central intelligence of the telephone system resides in a service provider’s secure data center. 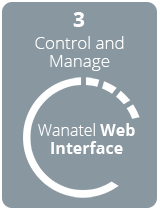 This means you only need to connect the end-user devices (such as phones and routers) to the internet to connect to Wanatel. With Hosted PBX, there’s no need to buy, install and maintain an on-site PBX (private branch exchange telecommunications server). Research performed with customers across all industries has revealed that we typically save our VoIP clients at least 30% on their phone bill. Wanatel Cloud PBX starts at R49 per month/per extension (Click here for a free quote). Except for this low monthly fee, you only pay your calls and remember the Wanatel call rates are very cheap. Wanatel customizes solutions for your businesses unique requirements, including multiple numbers, sub-accounts and SIP Trunks with unlimited simultaneous calls. Click here to ask a quote. With Wanatel Hosted PBX, your phone data is sent over the Internet and not over expensive traditional copper phone lines (although it can be received over traditional phone lines). Since you’ve already paid a flat rate for your Internet connection, you are not charged anything extra for the network delivery. Most of the time however you’re not calling a subscriber who is on VoIP themselves, but one who is making use of a regular PSTN telephone. For these calls, sooner or later your voice has to drop down to the traditional lines so that it can reach them. This is the reason why VoIP calls are not free but much cheaper. With Wanatel Cloud PBX, you can budget your communication services as a predictable monthly expense. There are no added costs for annual maintenance contracts, software upgrades and other system support requirements. 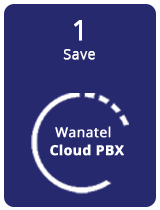 Click here to discover Wanatel Cloud PBX features. Wanatel’s expertise offers you an outrageously affordable solution that connects your business and employees to a host of capabilities that dramatically improve productivity. And with Wanatel there are no long term contracts, only a 30 day notice period. If Our Cloud PBX solution does not meet your needs. We do not hold you to it. Focus on your business, not on your phones. 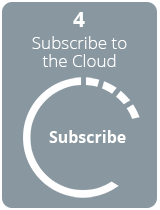 Our Cloud PBX is easy to use and quick to implement. The entire installation process can be completed in as little as two or three days. Wanatel Cloud (Hosted) PBX is a service, offering the functionality of a PBX without the need of installing a PBX at the customer’s location. Only VoIP phones need to be installed to deploy a Hosted PBX. A big advantage is that transitioning to our Hosted PBX system will not cause downtime, and you will be able to keep all of your existing phone numbers. The change over is seamless and can be installed by the customer themselves. Typically, the corporate network administrator performs the installation. Wanatel can provide on-site support upon request of all pre-configured material. VoIP has never been as efficient and easy as it is with Wanatel Cloud PBX. Test our VoIP services with a free account.